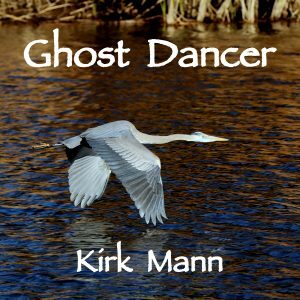 Kirk Mann – Ghost Dancer – Album Review | The Ark of Music – The best music in the world…you never knew existed. Born on Sunset boulevard in Los Angeles, CA, singer/songwriter Kirk Mann’s musical vocation began when his father gave him some ole’ abandoned guitar at age 18. 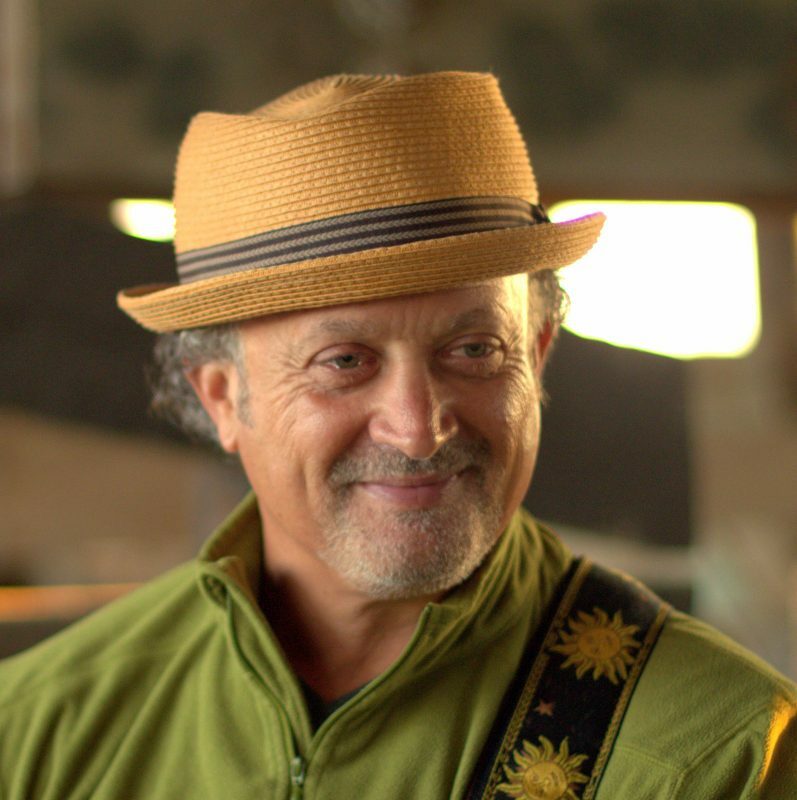 With backgrounds in Chinese medicine, plant medicine, shamanism, mysticism, nature photography, and meditation practice, the Ventura, CA-based music-man has quietly created an impressive musical anthology, including the four previous albums: Darkest Wild (2012), Shine Like a Lantern (2014), Let it Rain (2017), and East Wind (2017). Noting his influences as Dave Matthews, Cat Stevens, Sufjan Stevens, Anais Mitchell, Fleet Foxes, Ane Brun, Stephen Stills, Deb Talan, Neil Young, and others, his latest album, Ghost Dancer, was greatly inspired by everything from love & infatuation and whales, to the laws of physics and a few Native American tales. Opening with, Fire In The Snow, a subtly-muted acoustic melody is joined by a Native flute and world-style percussion to create a smooth and ambient texture, which when joined by Mann’s vocals, is reminiscent of one Peter Gabriel. With violin, a nice bit of technical acoustic guitar work, and once again that Gabriel-esque timbre, Island Of The Sun, celebrates the eternal etheric mystery. Hallelujah. Don’t Turn Your Back On The Ocean pays homage to the Mother Earth and her great seas. A lovely bit of female harmony joins Mann along with his usual bit of technically-sound acoustic guitar, strings, and native flute; all of which, by now, could be qualified as the Kirk-Mann-sound. Don’t Let It Bring You Down immediately reminds me of Neil Young’s, Old Man. Electric replaces acoustic here, and it works as Kirk is clearly comfortable on both. With Sitar and Arab tones, the album closes in a brave and unique fashion with, Thy Music, a celebration to the sonic act of creating song. Musically, this 11-track collection is simultaneously minimalist—and high in detail. Generally speaking, with little more than a fine vocal timbre, a guitar, and a violin, the album takes shape with fine clarity and production. Five albums in, Mann knows what he’s doing. And, at the end of the day, his evolving sound has not only maintained, but built upon, the smooth and soothing sensibility upon which he’s built his musical reputation. Folks, this is a really good album. 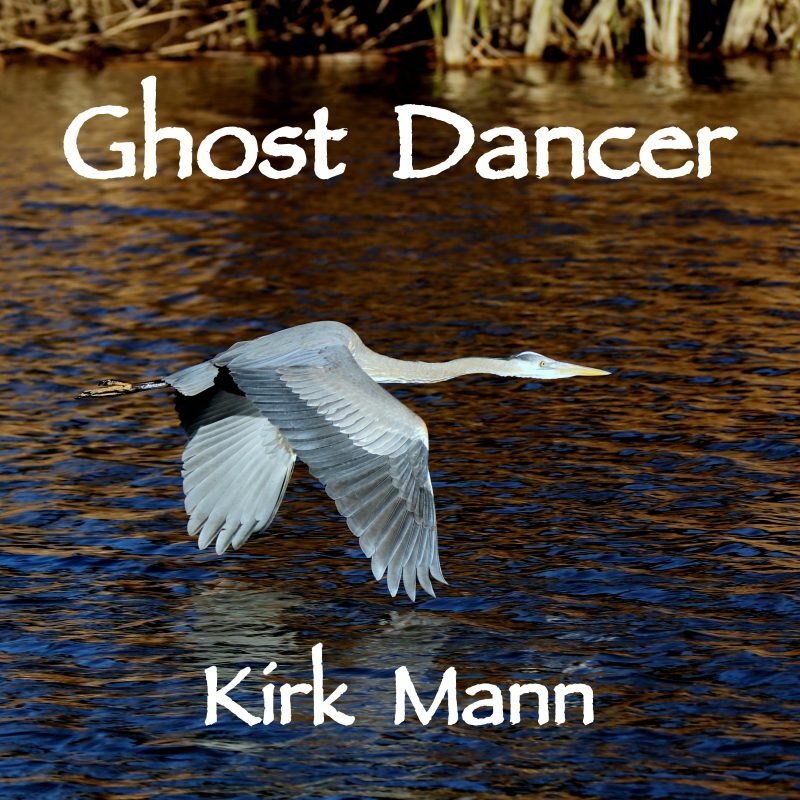 BELOW: Check out our full artist interview with Kirk Mann, listen to music from his album, Ghost Dancer, connect with his website and social media platforms, watch his music video, and find his booking & contact information. Please support Kirk Mann by visiting him online, and playing, downloading, and/or purchasing his music, or attending a live show! And, as always, thank you for supporting real music!